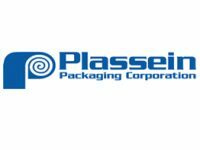 Plassein Packaging Corporation is a roll-up of companies in the flexible plastic packaging industry. Trivest Partners sponsored the transaction and originated the first acquisitions in January 2000. Through Plassein’s multiple subsidiaries, the company services a very diverse mix of customers and end markets. In September 2000, Caltius Mezzanine participated in a subordinated debt facility with BancBoston, Mass Mutual, Wachovia, and SunTrust, which helped finance the company’s acquisition of Rex International, a manufacturer of flexible plastic shipping sacks and plastic packaging products.